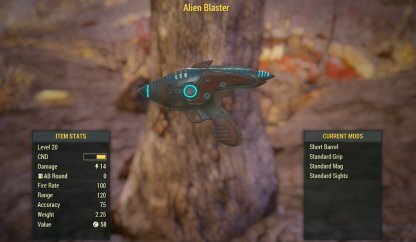 Find out where you can find the Fallout 76 unique weapon - Alien Blaster! Included here is its location, traits, & how to get it! 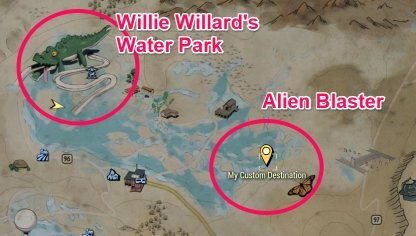 The Alien Blaster is located southeast of Willie Willard' Water Park! Follow along the water till you get to the southeastern part of the toxic lake to find the Alien Blaster. Along the southwestern end of the lake, there is a plank stuck halfway into the water. The plank is your landmark to find the exact location of the Alien Blaster! 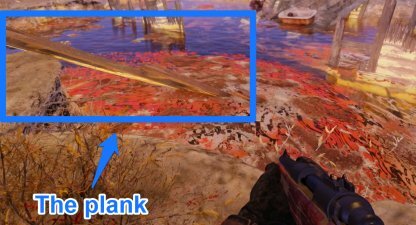 Go down the plank and you'll see a box underwater. Inside the box you'll find the Alien Blaster ready for the taking! The water in the lake will give you an insane amount of radiation, going up to even 30 per second! When attempting to get the Alien Blaster, it's best to drink a Rad-X first to mitigate the amount of rads you get. Long exposure to radiation has its consequences, including a dent to the player's health or even mutation! After moving away from the water, drink a RadAway to remove the harmful effects. Wearing a Hazmat suit is also a good option when getting the Alien Blaster since the suit by itself lessens the amount of rads its wearer gets. With this, the player won't have to use a Rad-X! The only challenge to getting the Alien Blaster is the toxic water with no combat involved. You can easily get the Alien Blaster even at the start of the game as long as you have enough healing items. 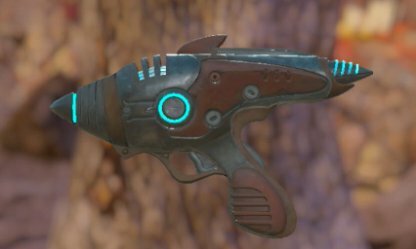 The Alien Blaster is the only gun in Fallout 76 that uses AB Rounds. They're pretty scarce in the game so it's not advisable to use the weapon as your main one. The weapon's required level is still up for confirmation. As of now, the Alien Blaster that was found requires you to be at level 20 before you can use it. This will be updated if there are more Alien Blasters that have other level requirements.